When it comes to party games, Cards Against Humanity is a must-have. If you’re unfamiliar, it’s a card game where one person plays a “fill in the blank” card, everyone else plays an “answer” card, and the person deemed to have the best or funniest answer wins the round. But if you’re a parent, you might find that CAH doesn’t really address the experiences you’re having. 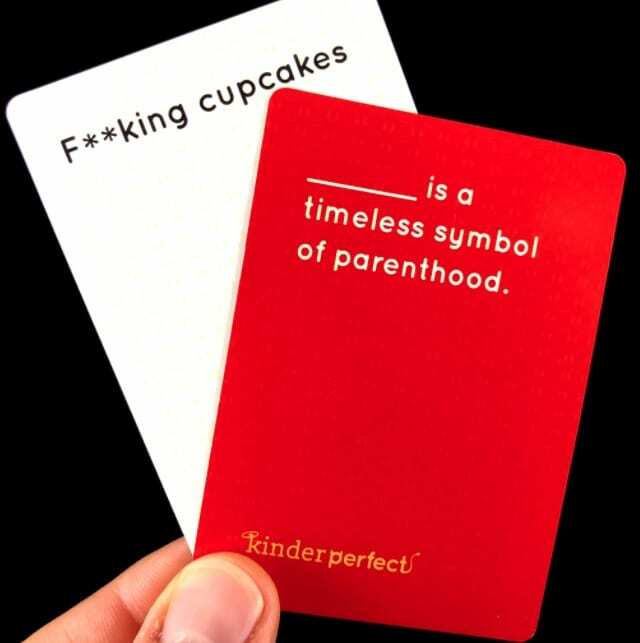 If so, you need to check out Kinderperfect, a card game that’s like CAH but geared specifically for parents. 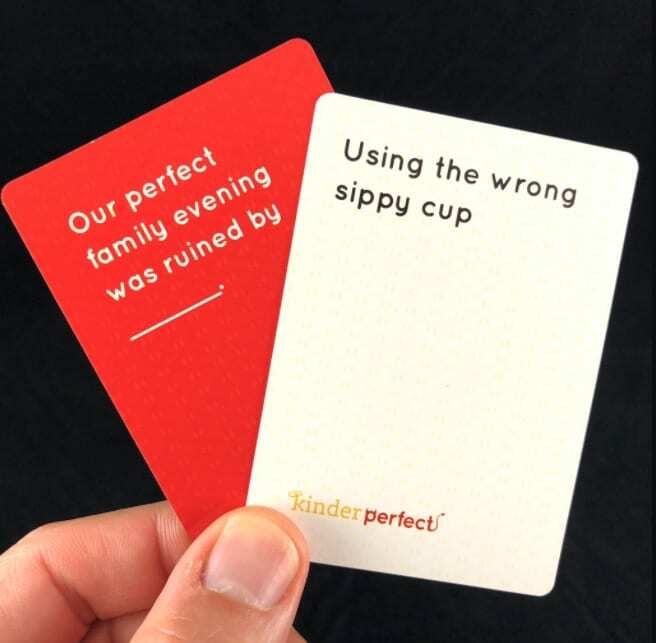 It’s the brainchild of Amy and Wayan Vota, a DC-area couple who enjoy CAH but felt it could use a parental perspective. Often when playing they would find themselves making parenting-themed questions and answers anyway. For example, “What are the true reasons why Mommy drinks? I’m going to put puke, pee, and Calliou,” Wayan told Scary Mommy. Once they decided to make their own version of the game, the response was overwhelmingly positive. 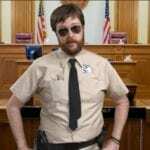 They put it on Kickstarter and quickly received well over their goal of $20,000–as well as thousands of card submissions from other parents. Initially, they received over 7,000! It seems parents have a lot to get off their chest. 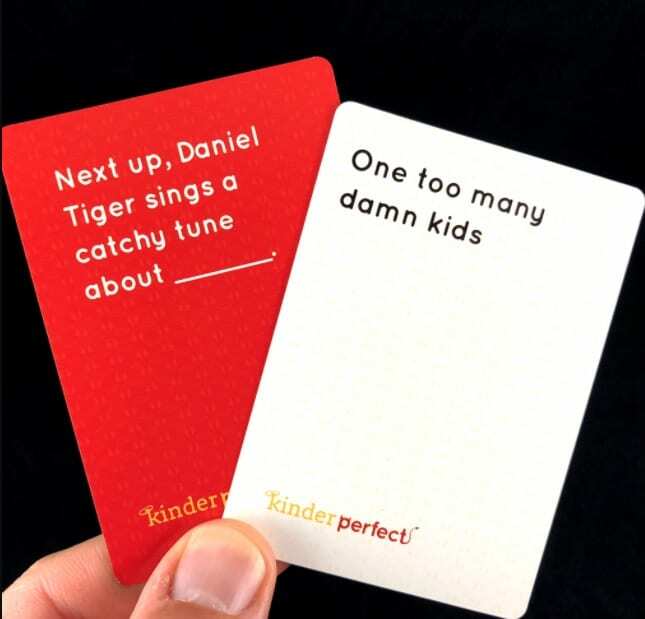 Below, you can check out some of the funniest question-and-answer Kinderperfect combos. And if you think you’ve got an answer beat, please share! 6. It’s a vicious effing cycle. You know you’ve done it too! 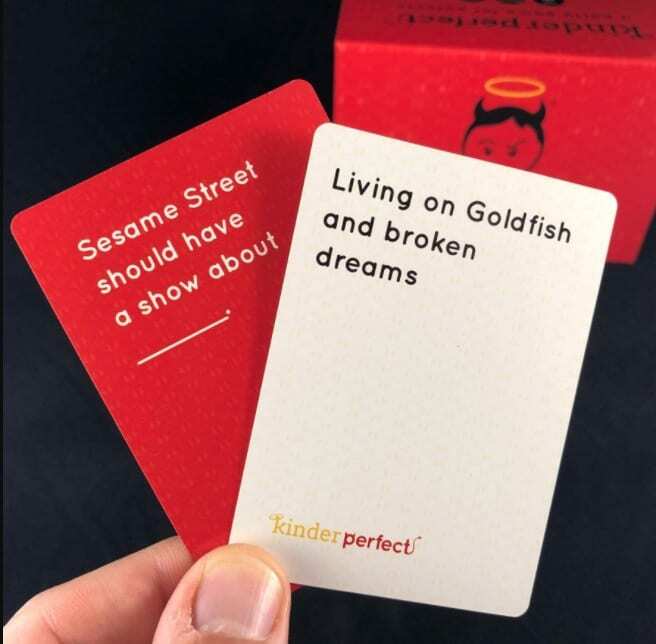 We had a @kinderperfect play party tonight – have you found a better answer card? 12. He’s a national menace. 14. They’re great, ’til you have to bake them.